On her seventh solo album Blackbirds, Peters doesn’t have a “That’s My Kind of Night” or a “Cowboy Casanova.” Blackbirds is not a fun listen. “Gloomy” wouldn’t be a far-off description, nor would “somber.” More than that, though, it is weighty, it is fearful, and it is quietly courageous. The title track, “Blackbirds,” opens up the record with a low, heart-sinking vocal delivery of equally haunting lyrics: “I’m covered up in dirt, and I stink of kerosene / And no matter what I do, I can’t get clean.” The stark subject matters don’t let up here. “When All You Got Is a Hammer” touches upon the expectation of failure and how that expectation can only fester more failure. On “The Cure for the Pain,” Peters sings of relishing in the pain of heartbreak, doing so with such eloquence and vulnerability. One of Blackbirds’s central themes is mortality and the fears of growing old. Peters’ songwriting does an excellent job of painting bleak portraits of life’s journeys. Instrumentally, Blackbirds features many beautiful arrangements of acoustic sounds and soft percussion that compliment the lyrics perfectly. It sounds more Americana than country, recalling the sounds of Joni Mitchell or even Fleetwood Mac. It’s not particularly imaginative, and it’s sometimes repetitive, but it matches the grim mood of Peter’s vocal delivery and words so perfectly that it almost doesn’t matter. 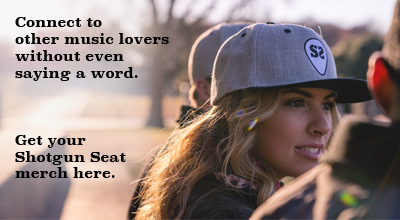 Songs like “Nashville” and “Pretty Things” have musical arrangements that compliment the lyrics to a tee. Gretchen Peters’s Blackbirds may be the anti-country, contrasting the often-summery sounds of mainstream country with an album as cold as winter. It is grey, brittle, and biting—yet it shines so brightly. There is a journey you take when listening to Blackbirds that requires 100% of your attention. You are left reflecting upon what you just heard with sadness and wonder. That is what makes Blackbirds so powerful and so beautiful. 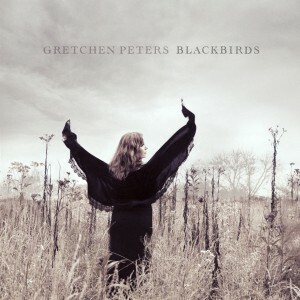 Grab Blackbirds on iTunes, and connect with Peters on her website, Facebook, and Twitter.